I have been overwhelmed, in the very best of ways, by the positive and encouraging response to my last blog entry. Thank you from the bottom of my heart for reading and celebrating with me. You have been so kind, and so many of you who did comment, either publicly or privately, have played a role (big or small) in my journey, even unbeknownst to you. Many of you have been motivating and inspiring, simply by living your lives the way you do: passionately, healthily, and by trying YOUR best to potentiate yourselves. I think often of the people who, early on in my journey, were sharing their quest for health with me. One life truth remains: no matter how old we get, life gives us challenges and discovery. My friend Sandy and I used to teach the Hero’s Journey paradigm when we taught The Odyssey to our 9th graders. I remember she used to say: you get the journey you are ready to take. And until we work our way through the journey, it will wait for us… So, wherever you are on your journey—at the call, down in the abyss, working through the challenges, or ready to return to the community and give the gifts of what you learned—I wish for you all the amazing acts of friendship and mentorship that I have experienced these past two years. If I can pass on even just a little of the inspiration others passed to me, then I am thankful to be able to keep that good energy going. So, you know we’re a health-conscious household. 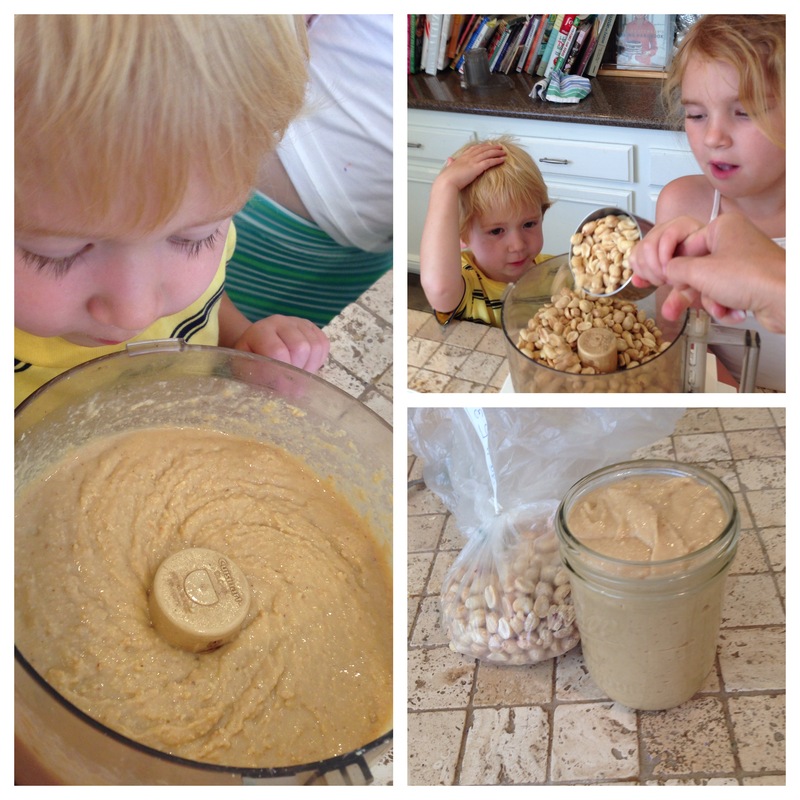 And, holy moly, do we love our nut butters. That is one high-calorie treat I just cannot do without and will budget into my daily calories quite often. Thank goodness I can use the protein to justify myself! I prefer almond butter at this point, but my husband and kiddos adore peanut butter, specifically JIF. One TB of peanut butter or almond butter is about 90 calories, so they are about the same. One of my favorite, favorite breakfasts is one banana cut into slices (80 cals), one TB of almond butter (90 cals), and one cup of almond milk (30 cals). 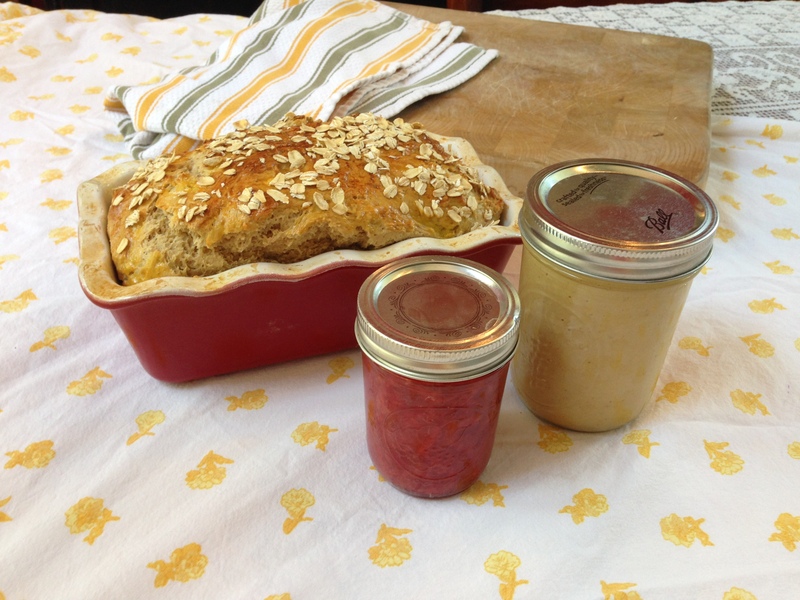 On my bucket list this summer: build a healthier, less sugary, less salty, fantastically epic PB & J sandwich entirely from scratch (okay, no, I didn’t grow my own wheat). 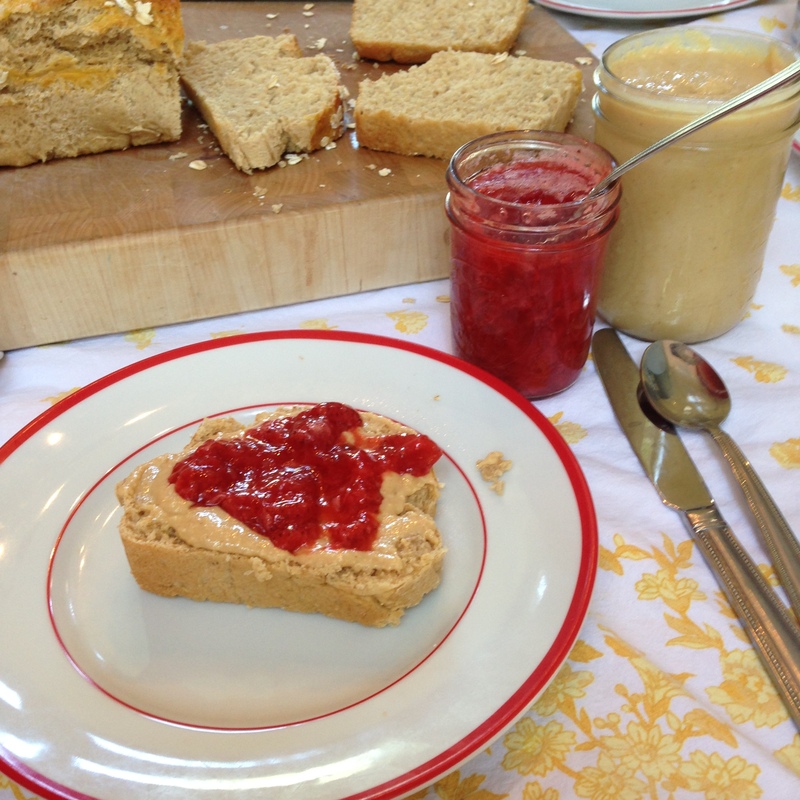 I wanted to make a peanut butter and jelly sandwich in which I controlled every single ingredient. Katie is in a cape, dressed as Maleficent. 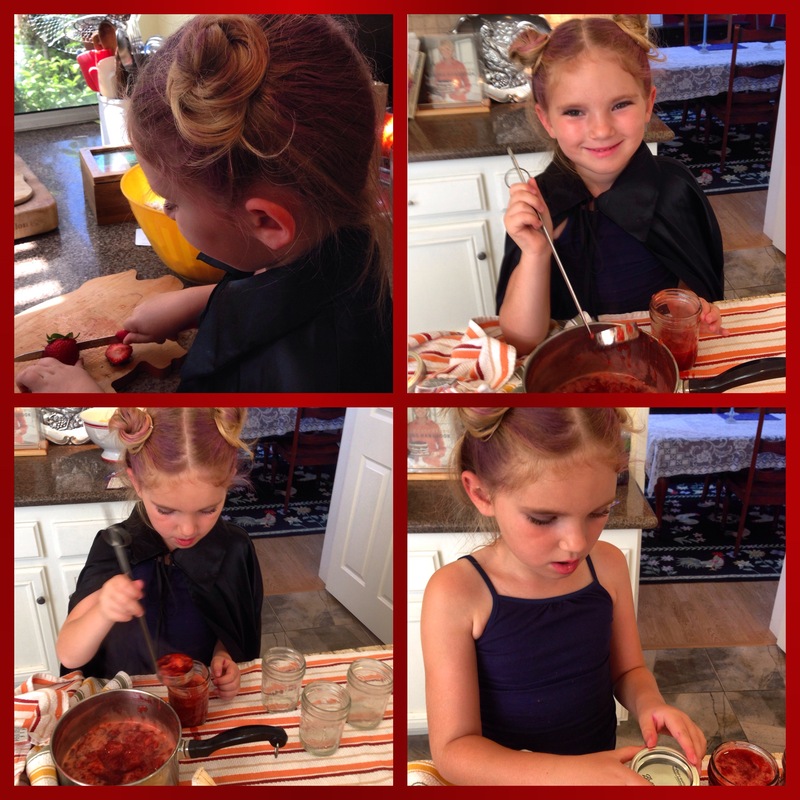 We are reaching a place of solid skill, now, in our jam making attempts. Like I said, I have been sketchy with respect to this skill for a number of years, but it is coming together now in my mind, I guess. We bought one of those big flats from Costco and went for it. There is honey but no refined sugar in our jam, so it is on the tart side for those used to sugary jams and jellies, but we have converted our taste buds enough at this point to enjoy the sharpness and the pure strawberry flavor. Then we made our own honey oatmeal yeast bread, using a tried and true recipe (it has the barest touch of cinnamon, which is just lovely). Any favorite bread recipe is bound to work here—how can bread go wrong, really? I did this on Long Run Sunday, so I had 10 miles of calorie burn to play with here. I had this one, plus half of another, and then had to force myself to quit. We’ve been pacing ourselves accordingly on the rest of it. Mom came over and shared some, thank goodness! Healthy, delicious, and we know exactly what comprises every ingredient. It was the kind of epic treat that I wish I could devour all the time! Sometimes, though, pleasures are more pleasing when they are rare. We have some good ideas for further nut butters, though. Now that I know how quick and easy it is? I see a honeyed PB in our future, and a cardamom peanut butter (yes, it really is good). In our quest to have a sort of “classic” summer of hand clapping games, braided hair, road trips, old-fashioned games, and camp-style crafts, this sandwich project seemed to fit right in to our bucket list. Yummy!